Tickets for the Motul Argentinian Round on sale NOW! 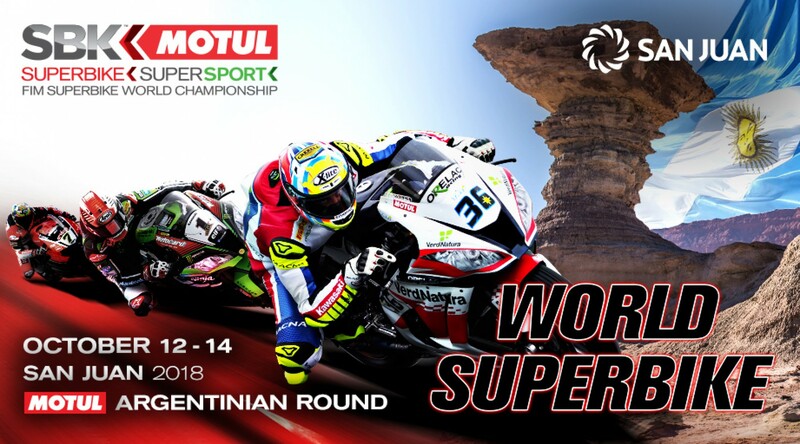 Things are heating up for the arrival of the MOTUL FIM Superbike World Championship and the FIM Supersport World Championship to South America! With just ten weeks left until this historic round, tickets are available from today for all our Argentinian WorldSBK fans as well as those around the globe, so that from October 12th to 14th you can experience the event of a lifetime. Several special tickets will be available at the opening of the phenomenal Circuito San Juan Villicum. For those fans planning to introduce their youngest to the world of SBK®, the VIP Field area will allow children under 12 the opportunity to experience the Argentinian Round for free, providing they are accompanied by an adult and upon presentation of ID, and from a privileged area with views to best part of the circuit. Premium grandstand seats will also be up for purchase, granting fans an incredible view of the action at the last three turns of San Juan circuit. For those planning to go one further, VIP Box seats will also be available, located straight above the team boxes. General grandstand tickets are also on sale, as well as areas for people with disabilities. On top of these options, fans can also purchase a Paddock Pack (already included for VIP Box attendees) and live the full WorldSBK experience right from where all the action happens. Don’t miss out! Get your tickets here and be a part of what promises to be a stunning weekend!